ACHS accepts all patients, regardless of income, insurance status or ability to pay. 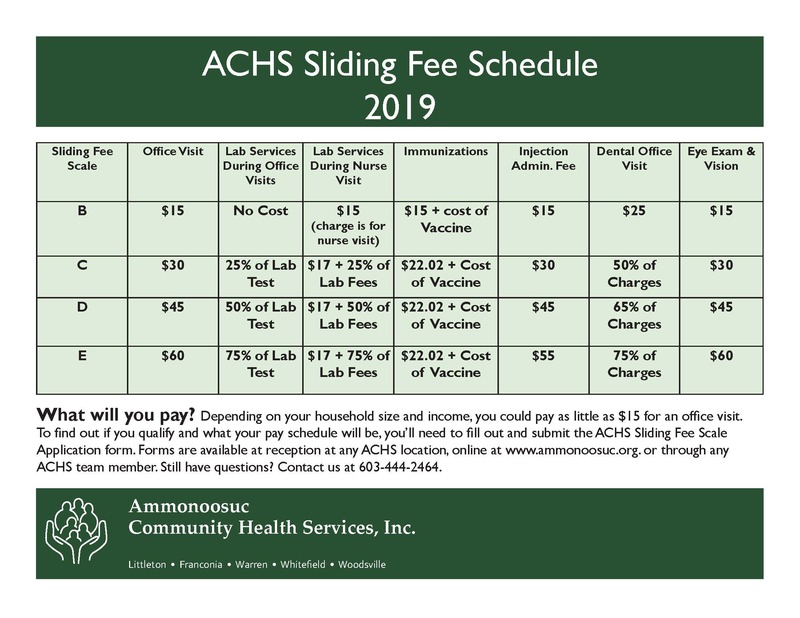 As a Federally Qualified Health Center (FQHC) we offer a wide variety of services with a Sliding Fee Scale (SFS) which reduces, or “slides” the fees for services we provide. Our SFS is offered to all income eligible uninsured or under insured patients. 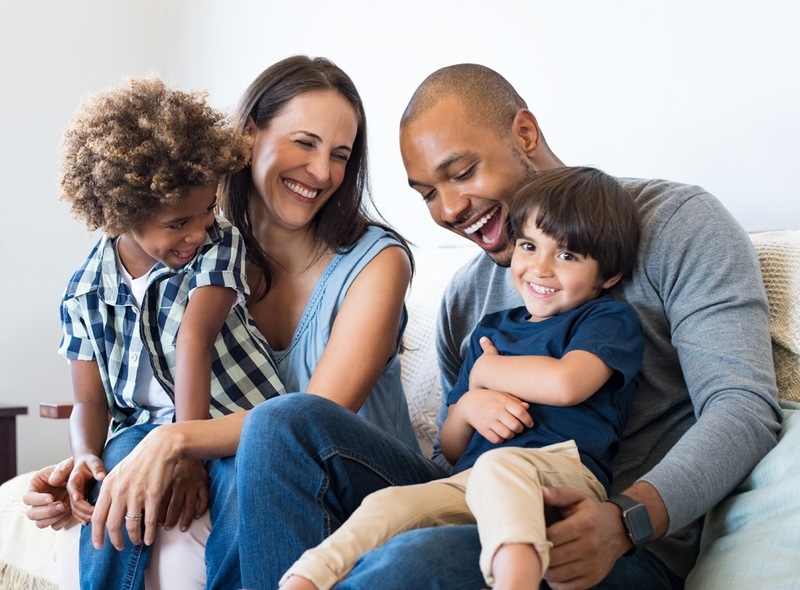 Eligibility is based on family income and size and is available for a variety of health care services including: Medical and Dental office visits, vision programs, lab fees, vaccinations, prescriptions and nutritional services. In addition to our own in-house services, as an ACHS patient, you will also have access to discounts at our service partners such as North Country Healthcare, Cottage Hospital and area pharmacies. Eligibility is based on your household size and income. Anyone in the household over the age of 19 can be eligible to receive SFS. To find out if you qualify, you’ll need to fill out an application and provide proof of income. Income forms can be found at reception at any ACHS site, by speaking to an ACHS team member at 603.444.2464 or by clicking here. Even if you have insurance, you may still qualify for SFS. We’ll process your insurance claim first, and then any remaining balance may be adjusted based on the sliding fee guide. Yes. To determine your eligibility for SFS, and what you’ll pay, we’ll need proof of income and your household size. Proof of income can be determined easily with: Paycheck stubs, current year tax returns for self-employed individuals and with other items. How do you determine household size? Anyone living in the household, where a legal financial responsibility for support exists, is considered a household member. Non-related persons do not count as household members unless there is a legal requirement for support. You’ll need to apply annually or if there is a change in household or income status. You will be expected to pay for the services you’ll receive. That amount will vary based on where you fall on the SFS schedule. You’ll pay at least $15 for Office Visits and Vision Care and $25 for a Dental visit. This amount is due at the time of your visit. The SFS schedule can be viewed in our brochure below or by clicking here. Do I need to be an ACHS medical patient to qualify for dental SFS? No. You do NOT need to be a medical patient at ACHS primary care to qualify for discounts at the ACHS Dental & Oral Health Center. All are welcome. Get started today, by speaking to an ACHS team member at 603.444.2464! Or fill out a form today!